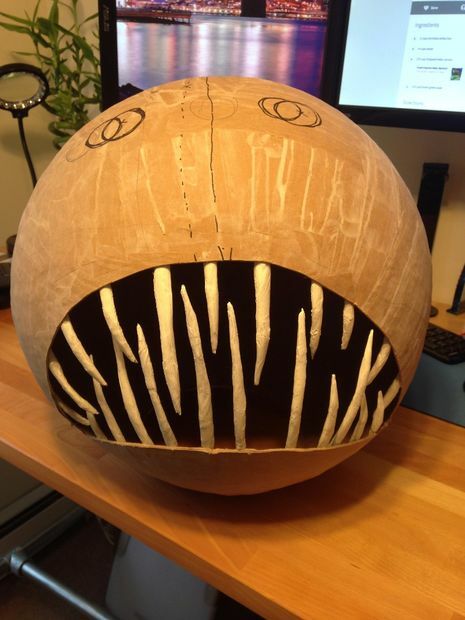 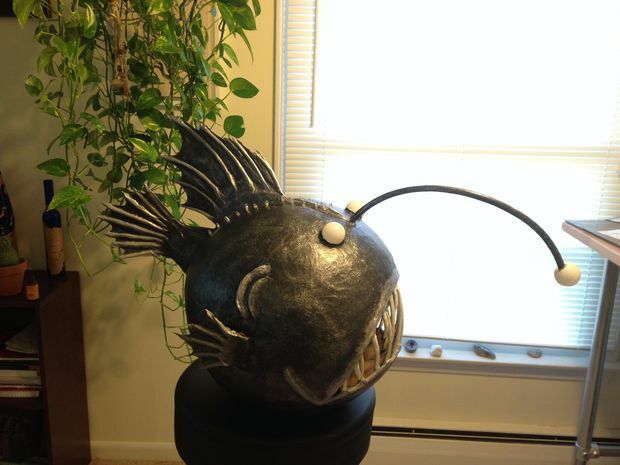 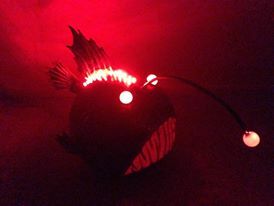 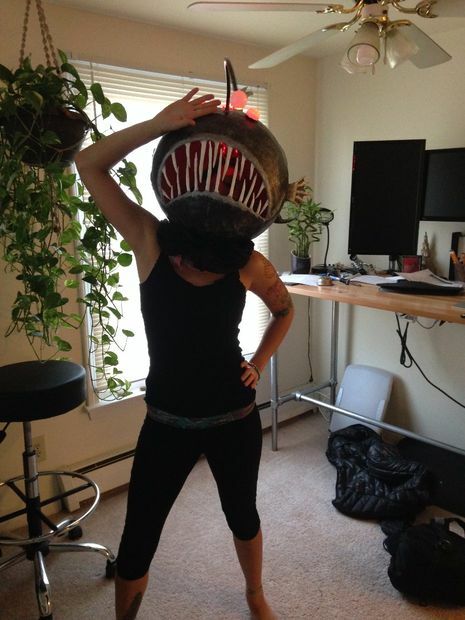 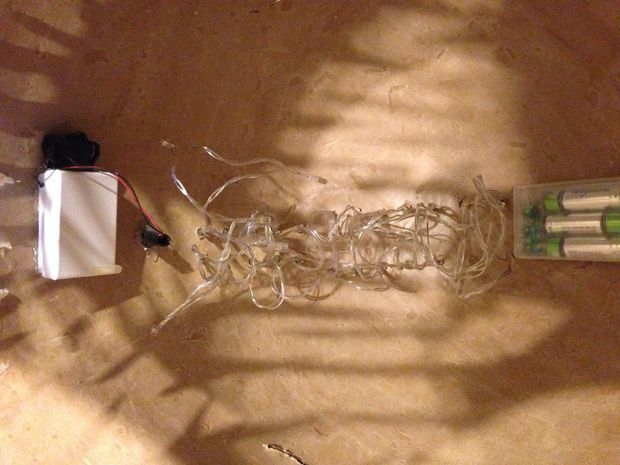 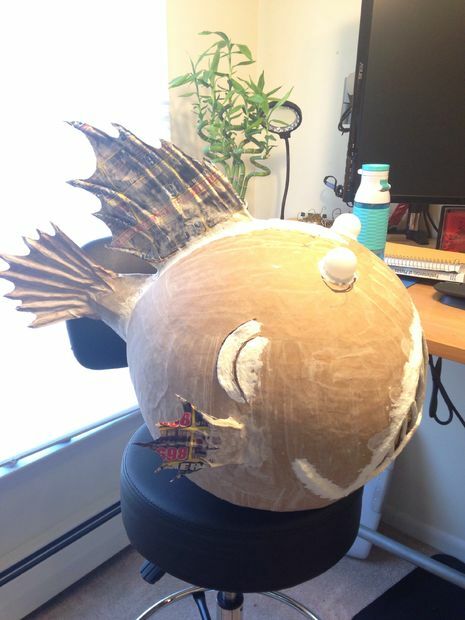 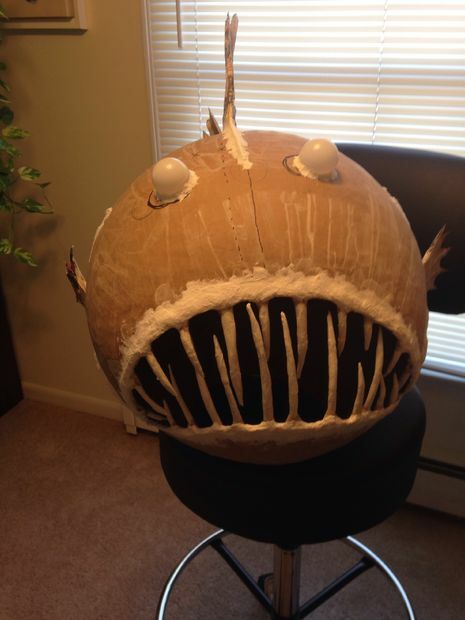 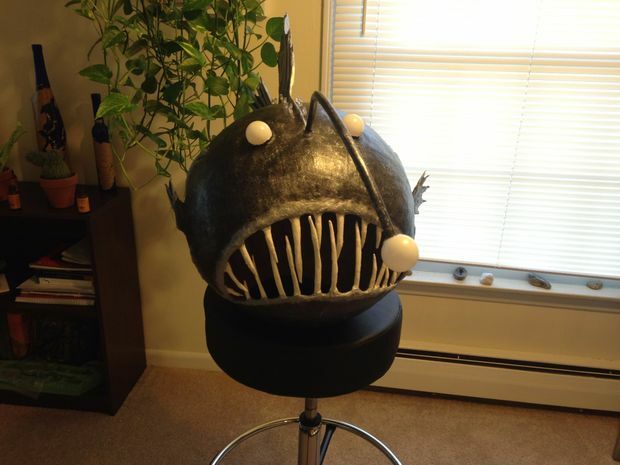 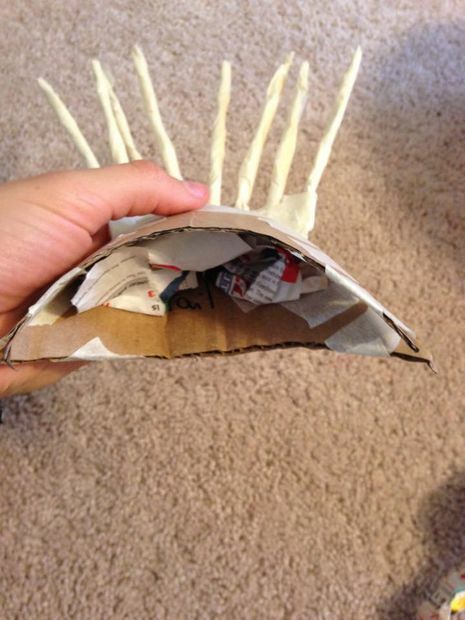 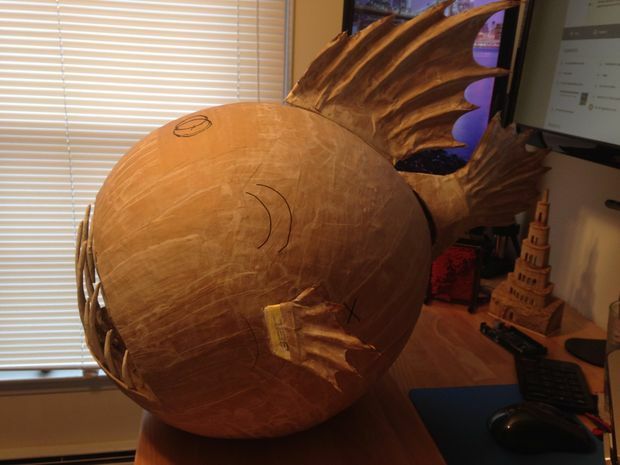 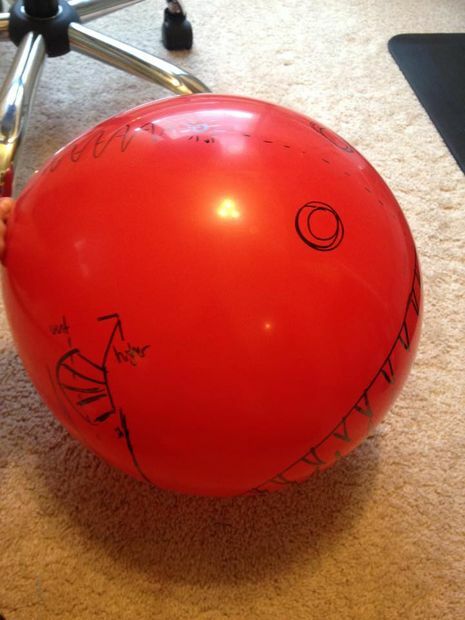 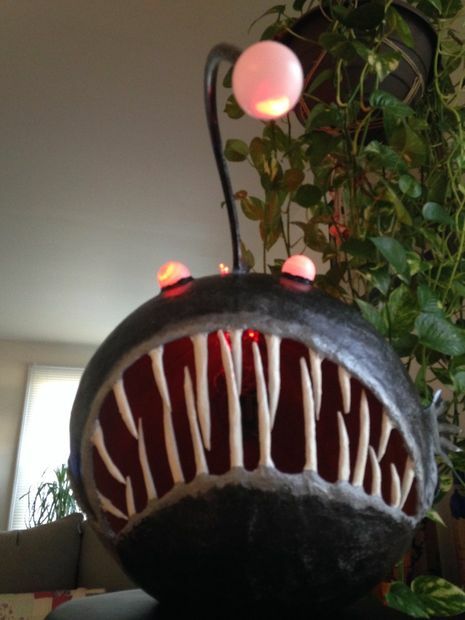 LED Paper Mache Anglerfish Mask for Halloween! 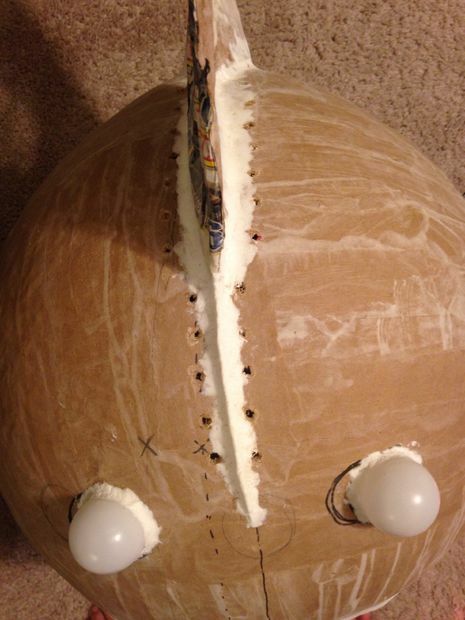 Step by step below. 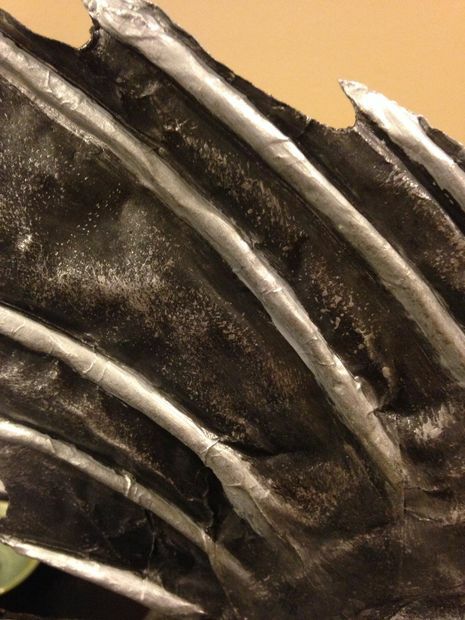 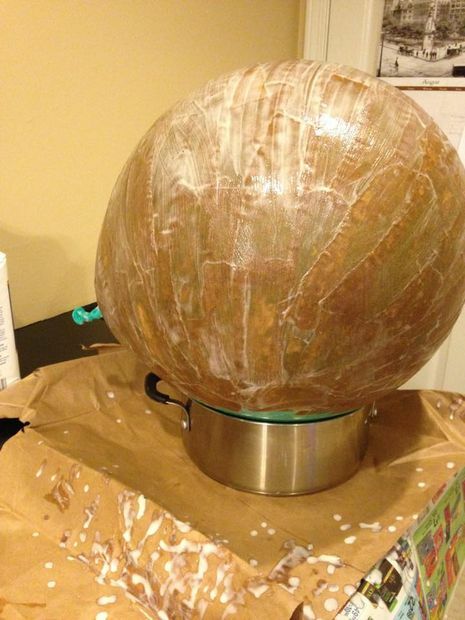 8 layers of paper mache, alternating heavy kraft paper with newsprint, took about a week to make sure it was all dry.